*REQUIRED! Choose Your Comforter Thickness, Depth or Height Comforter Thickness 1" Comforter Thickness 2" Comforter Thickness 3" Comforter Thickness 4" Comforter Thickness 5" Comforter Thickness 6" Comforter Thickness 7"
Eastern King size is approximately 78" wide by 80" long. Please type in your comforter dimensions in the text box. Due to the large size of this item there may be a seam. 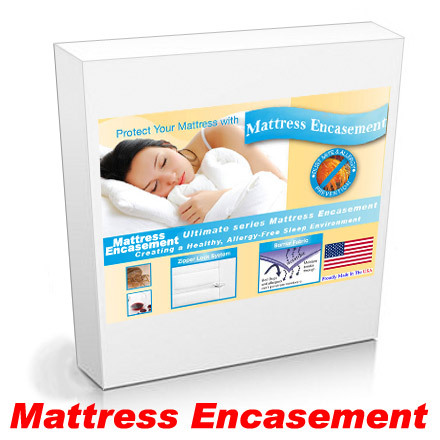 This Eastern King Comforter Bed Bug Mattress Cover will actually encase and enclose the mattress fully, completely protecting the mattress from bed bug infestation. Completely Encases to insure dust mite and bed bug protection. Protects against spills but still lets it breathe. 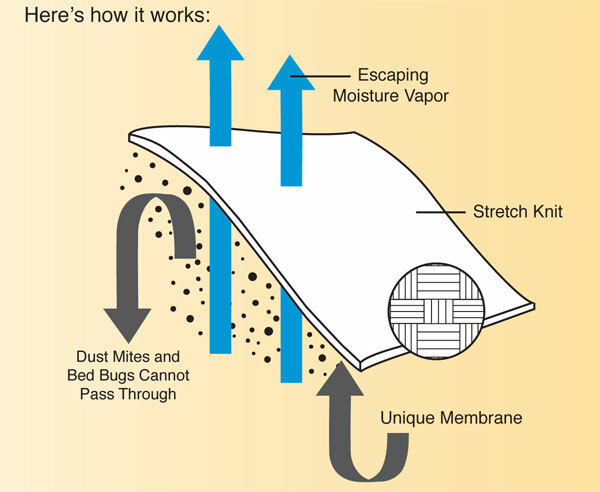 Eastern King Comforter Mattress Encasement Protection From Bed Bugs and Dust Mites. 100% allergy and dust mite protection. Sewn in the USA.